Mr. Roderick Jones, 60, of Selma, Alabama passed away on March 20, 2018 at Vaughn Regional Medical Center. 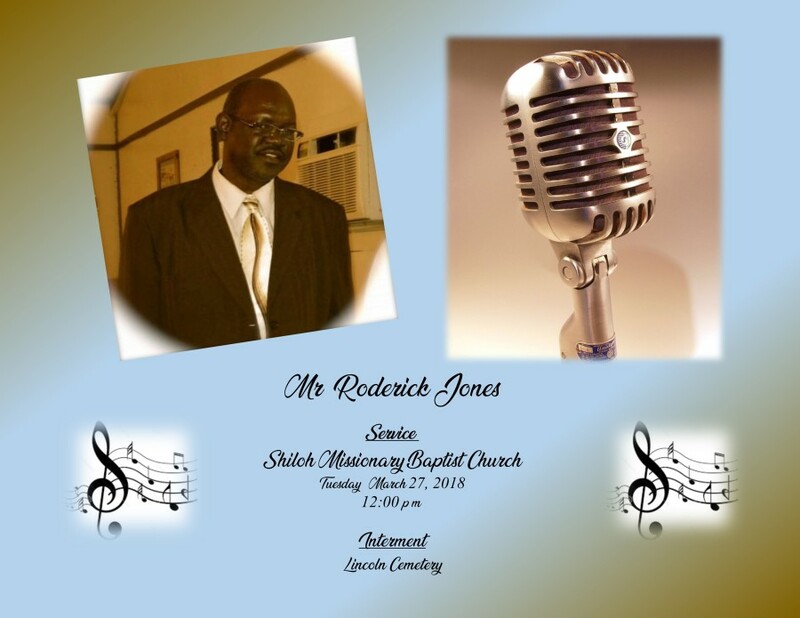 Service will be held at Shiloh Baptist Church on Tuesday, March 27, 2018 at 12:00 p.m. with Pastor Joshua Davis, Officiating. Interment will follow in Lincoln Cemetery. Ashley's JH Williams and Sons Funeral Home professional and compassionate staff thanks the Jones family for selecting our firm to conduct the final rites of passage for Mr. Roderick Jones.